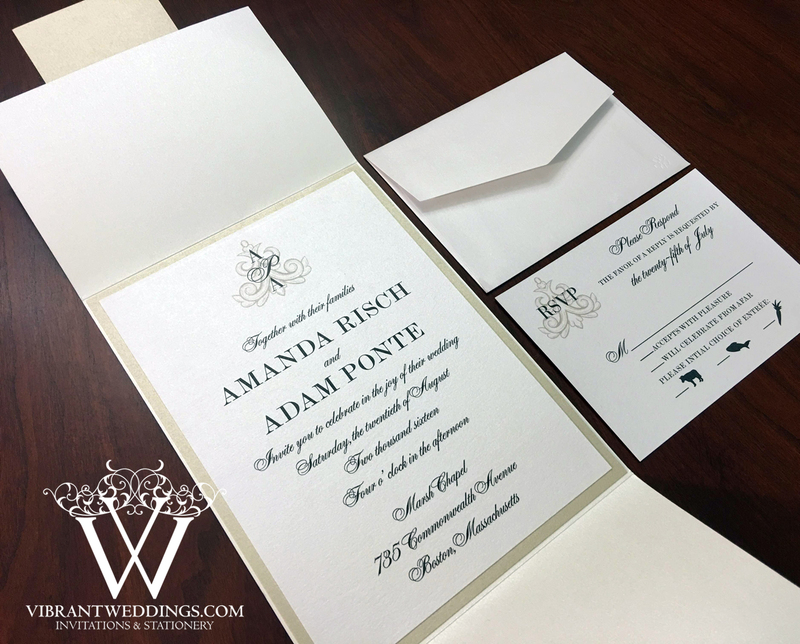 $8.00 per invitation suite fully assembled for a set of 100 invitations. Please contact us for a quote on a different quantity. *Assembly refers to the gluing of the matted papers layers. 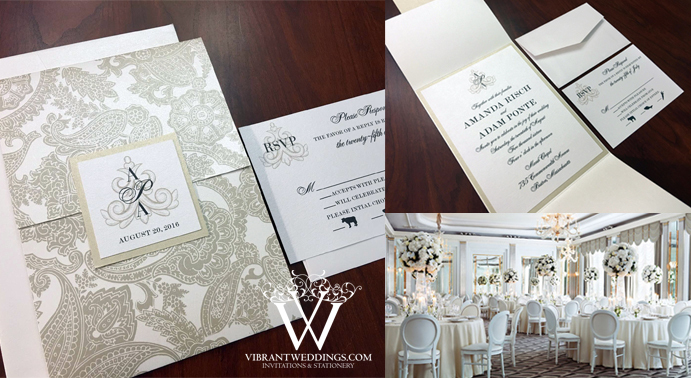 Colors: White and Champagne Regalia Pattern, champagne matted border, and print on metallic white. 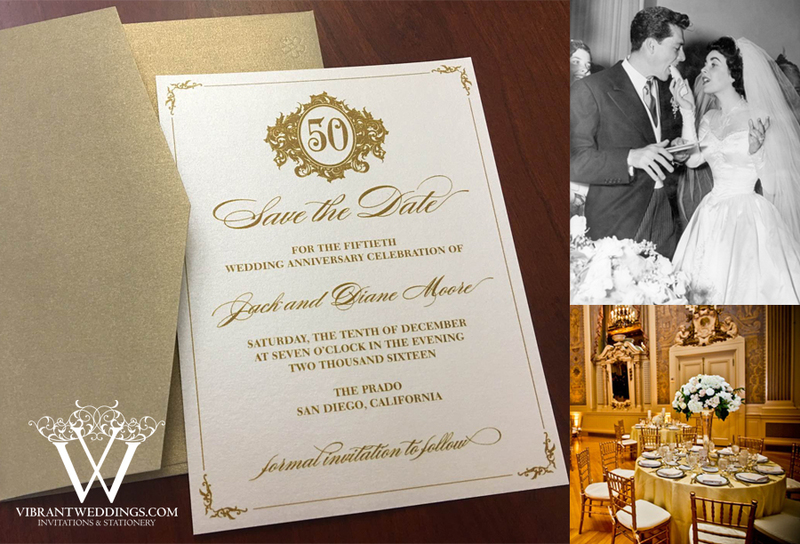 Included in suite are 5×7″ Double-layered Gate-fold style invitation, a 3.5×5″ Response card, a 2.5×2.5″ outer Square seal, and two blank envelopes. Font color in a black. $8.00 per invitation suite for a set of 100 invitations, fully assembled (matted layers of card-stock paper glued together). Please contact us for a different quantity. To view our extensive portfolio or to customize your own, please contact us at http://www.VibrantWeddings.com, avibrantwedding@gmail.com or (619) 852-6886. 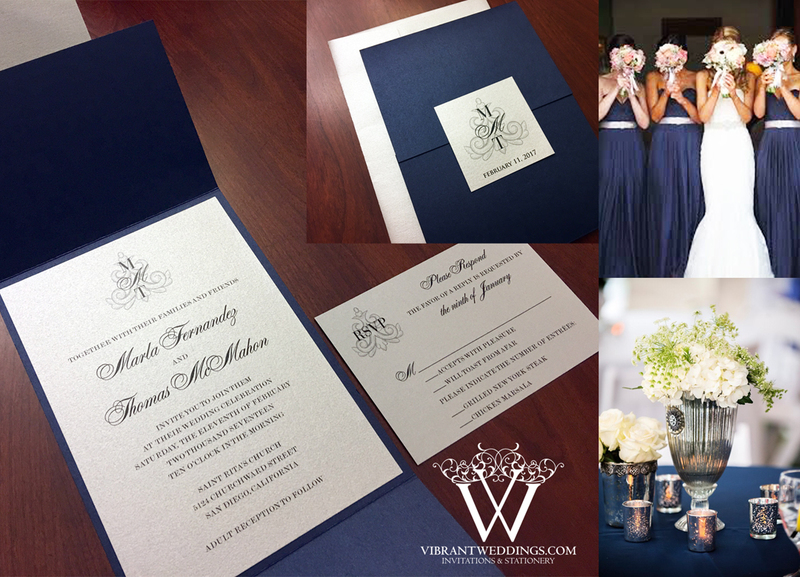 Includes 5X7″ Deep blue metallic card-stock Pocket-fold invitation, a Coral Orange floral pattern matted border, and the printed invitation on matte white card-stock, a flat 3.5×5″ RSVP card and two blank white matte envelopes. Invitation printed on white matte heavy card-stock. Font colors in navy blue and coral orange. 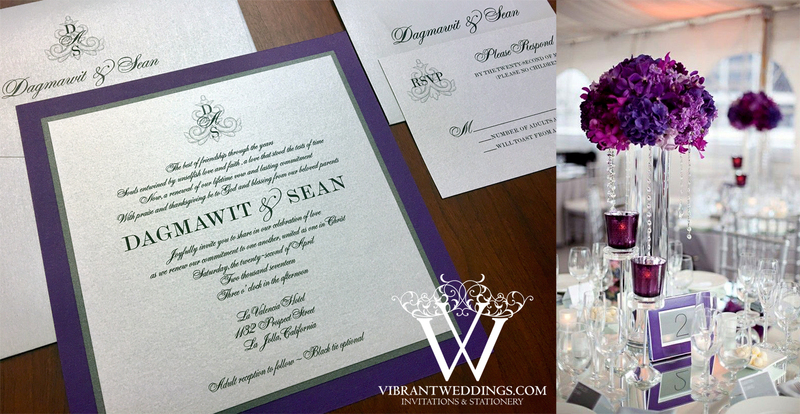 Try a 5×7″ traditional flat style or matted invitation with same or different design for a less expensive alternative.